Eye-catching variation of one of the three iconic Lancaster County, PA classic Amish designs. The SUNSHINE AND SHADOW pieced center is composed in a smaller area of the surface than is usual, being framed within a narrow inner border and a wider outer border, differentiating it from other more traditional versions of the pattern. Red in abundance is also atypical for this community which followed very proscribed rules of conduct and image. 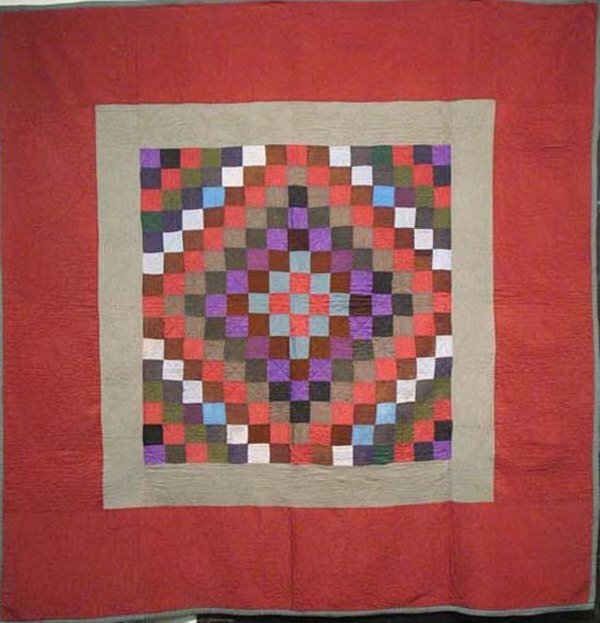 Classic lush quilting is highly visible in the wide border.